After having the kit sitting around for months I've finally got round to start fitting it! I've exposed the inlet manifold, but not sure whether to try and drill/tap in situ or remove it first. I've read that the spuds need to be within 50mm of the petrol injectors. This seems quite a long distance to me...when I did mt Vectra I managed to get them really close to the petrol injectors, but by the looks of this Bongo manifold it's gonna be quite difficult to get that close. How critical is the siting of the spuds? I'm not 100% sure but would think the closer you can get the LPG injectors to the OE injectors, the better. Unless you're able to stuff the manifold with cotton wool, rag or something else to catch the swarf it would be a seriously good idea to remove it before drilling and tapping for the spuds. 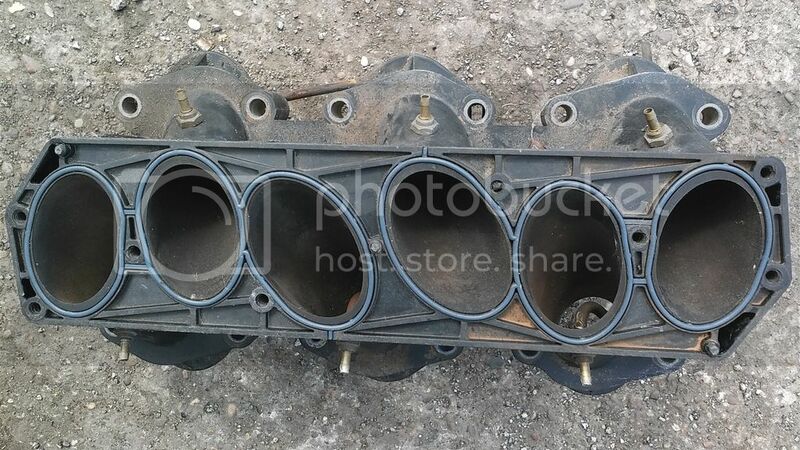 Looking at your pics, it looks remarkably similar to a Ford Exploder 4.0 V6 manifold i have that already has the spuds, injectors etc set up in it. I can have a look to see how far the spuds are from the OE injectors if you think the engines are potentially/probably/definitely the same or if you like, you can buy it so that you can keep your original manifold to return the Bongo to "factory" if you come to sell it and the new owner doesn't want LPG or you want to keep the system. Sorry - that should have been Ford Explorer - force of habit from typing "Internet Exploder" for a well known browser! LairdScooby wrote: I'm not 100% sure but would think the closer you can get the LPG injectors to the OE injectors, the better. Unless you're able to stuff the manifold with cotton wool, rag or something else to catch the swarf it would be a seriously good idea to remove it before drilling and tapping for the spuds. Maybe that's why Lairdscooby refers to it as the Ford Exploder? Have you converted any Bongo's Gilbertd? Nope, it was a genuine "typo" as i normally call Internet Explorer by the name "Internet Exploder" - i hadn't in fact heard the Ford Explorer called the same! Makes sense though. I have to go out for a medical appt now but on the way back i'll stop off at my garage and try to find the inlet manifold and get some pics. Something in the back of my mind is saying the Explorer V6 was based on the old Cologne V6 so it may not be compatible at all. Should give an idea about the spuds though. colin33 wrote: Have you converted any Bongo's Gilbertd? The closer you can get them the better. As to the Exploder it is not just running out of gas but also the ignition ecu can reset and fire all cylinders at once when you are driving. The force from the backfire could be enough to blow the bonnet off. On injection not an issue. 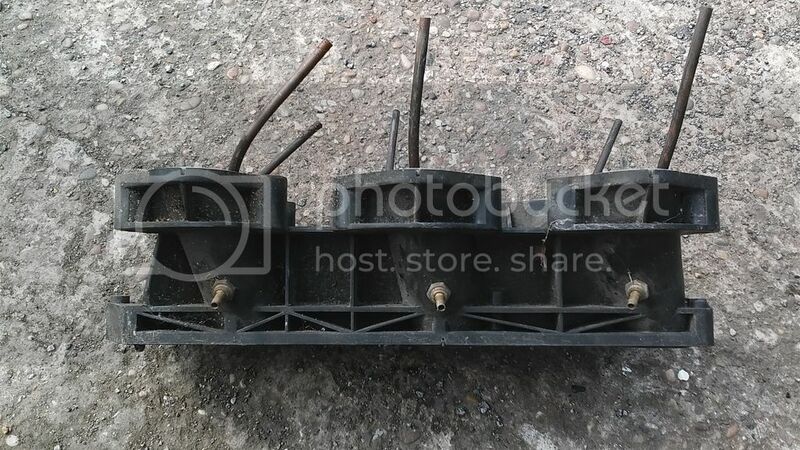 I've got an Explorer manifold here with spuds fitted, actually straws rather than spuds as I remember... I fitted the full system on the Explorer many years ago, when the vehicle was finally scrapped the owner removed the LPG system and sold it on. The buyer had me fit that LPG system on his different model vehicle, so the Explorer manifold and straws were surplus to requirements. I'll take a pic now but dunno when I'll get around to posting a link (all that faffing with photo bucket), so Dave might beat me to it. LPGC wrote: I've got an Explorer manifold here with spuds fitted, actually straws rather than spuds as I remember... I fitted the full system on the Explorer many years ago, when the vehicle was finally scrapped the owner removed the LPG system and sold it on. The buyer had me fit that LPG system on his different model vehicle, so the Explorer manifold and straws were surplus to requirements. I'll take a pic now but dunno when I'll get around to posting a link (all that faffing with photo bucket), so Dave might beat me to it. Ah, I'm not familiar with straws, how are they different from the usual 'spuds' ? classicswede wrote: The closer you can get them the better.. Straws are basically small pipes that run inside the manifold from where the hole is drilled. Means you can get the gas exit point much closer to the head in situations like this. I can't decide where to fit reducer hoses into the cooling system. I don't have a schematic of the Bongo showing what hoses are doing what, has anyone else done one of these? There is a conveniently placed hose to tap into but should I tap into it in series or parallel? Any ideas, I have brain freeze today.. If you have a full flow heating system, plumb it in series. If your heater has a valve that shuts the flow to it when you select cold air then you don't have a full flow system so you'll need to plumb it parallel. However, if you have an engine oil cooler that is water to oil heat exchanger based, you may be able to find the return line from that and use that as your feed into the top of the vap and run an extra hose back to the block. This is what i'm doing on my 827s at the moment. This means you'll probably still need a cooling system diagram though. Re the manifold, my apologies but i haven't had a chance to get to the garage and have a rummage for it yet, i haven't forgotten though! Simon may beat me to it yet! Not being rude but you'd have been better off buying your LPG kit from an installer that includes very thorough tech support... like myself! ..Don't know where you are but that wouldn't be critical for the most important bits in the following: If you'd have collected bits from me we'd have discussed component/piping/wiring layout (or would have described in documentation and over the phone), we'd have been chatting about your install on the phone right now, I would have checked over your install (and issued a cert to say so) when you'd finished the job (DVLA / insurers might want that), I would have sorted any little issues myself if you brought the car here, during such visit I would have calibrated it better than you will (or could steer you on the phone to do a better job yourself). Your results would have been better in the end, and very likely would cost you less in the end too.. I fitted this lot, oooh about 10 years ago first time around, and then refitted the rest of the system more recently. Last edited by LPGC on Wed May 25, 2016 12:14 am, edited 1 time in total. The problem with the Bongo is there is so little information available, I can't even get a schematic drawing of the cooling system to work out what's what. I believe there's about 39 separate pipes involved! It's a fairly complicated system with heaters back and front. 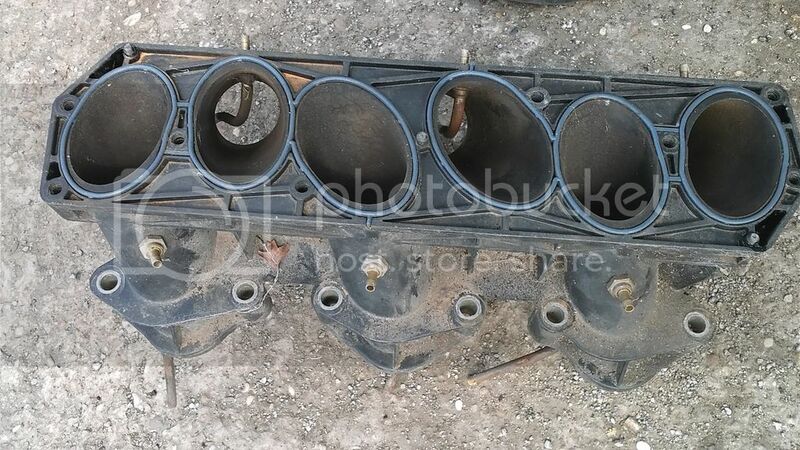 It's also prone to airlocks and leaks which is why so many Bongo head gaskets fail so it's important to get it right. 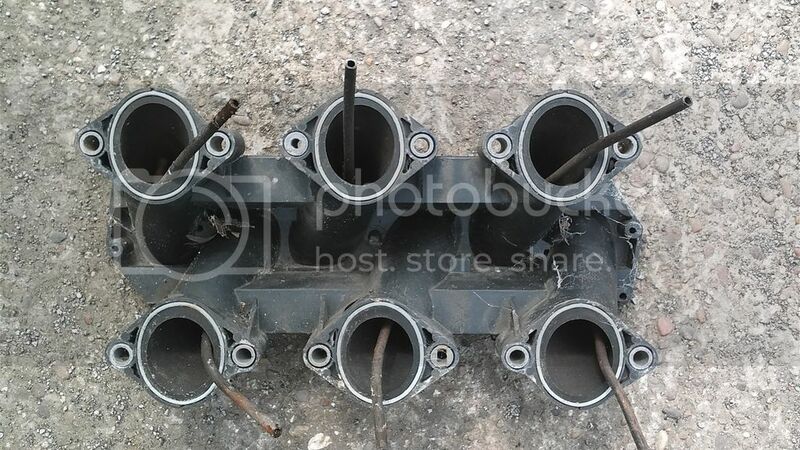 Thanks for the pics, I'm assuming the petrol injectors are in the 'lower' manifold? I can see the need for straws in this case, but for the Bongo I reckon I can get the spuds in about 20mm above the petrol injectors which I assume would be close enough? Last edited by colin33 on Tue May 24, 2016 9:40 pm, edited 1 time in total. LairdScooby wrote: If you have a full flow heating system, plumb it in series. If your heater has a valve that shuts the flow to it when you select cold air then you don't have a full flow system so you'll need to plumb it parallel. Col, While on the same point: Why not ask Tinley for tech support, then? Though they too won't be around to answer your questions on forum after hours (or ever) or at anytime out of hours on the phone. There are few on forum that could help you, and no disrespect intended towards Laird Scooby and similar but they wouldn't be able to help you much even if they had a financial incentive. Unless you are willing to travel the distance from Lands End to Cambridgeshire while at the same time not willing to travel the distance from Lands End to Yorkshire, from my point of view you have paid a similar amount that you would have paid me for your system but you have cut me out of the deal except for hoping for my tech support. This can not be a positive for you even on a very simple install like a Vectra or Bongo and would certainly not pay you off on a more difficult install. If you had bought from me we could still be talking about your install and your questions on the phone. You bought from a supplier that doesn't do conversions and which closes at 5pm.. I could leave you to write posts on forum in the hope another amateur will know the answers to your questions and then bother to reply, or to cross your fingers in case you don't manage to get it running properly in the end, or to hope the DVLA or insurers won't require proof of checking by a competent person. I don't get it.. Why pay the same or more for much the same, when where you got it from cannot include anything like the same level of tech support/customer service? If all of your supplier's customers asked the same questions as you, they would need far more staff to answer the basic questions. They are trade suppliers who are happiest selling to people like myself, who don't need to ask questions. An amateur can test their luck asking questions on forums or buy from somewhere that will offer the necessary services. V6 conversion you say... Have you read my thoughts regards how suited some systems are to V6 applications? I am not a supplier that deals with only a certain range of systems, I am in installer that fits a wide range of systems with an unbiased approach. I would hazard a guess that I (or other well known pros) would not have recommended the system you have bought for a V6 install... Tech support starts with unbiased component choice but even if you made what I'd consider a poor choice I would still be your best bet for getting the thing running as well it could. I am up and down the country a fair bit and will be around Lands End next month. No worries Colin, had a brief look at that and i can only say it looks truly awful! I can't see a valve to stop the coolant flow to the heater matrix in that diagram but i think there is at least one more part of the diagram to show the full system - think you'll have to get down and dirty with your engine bay and look to see if there are any valves of any description on the hoses feeding the heater matrices. I imagine it's pretty cramped under the bonnet and the rear heater matrix isn't particularly easy to get to so good luck with that! I also now have a much better idea of what straws are and it's got me thinking. Future use though as both my V6 conversions are single point mixer for now, several reasons but cost and availability of second hand kit, tried and tested conversion on many other 827s and a few other similar reasons for going single point mixer. However in the fullness of time, i do want to go injection on at least one of mine. I've just seen Simons comment about the King system and unless i'm reading too much into it, he seems to suggest the King system isn't necessarily the best choice for some V6 applications. Given my own level of knowledge, experience, expertise etc, come the time to think about an injection system i think i may well be having a chat with him, plastic at the ready!